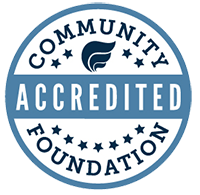 The Community Foundation of Middlesex County is pleased to provide nonprofit organizations access to numerous on-line resources that may help them in their growth and management as they work to strengthen our community. These links are intended only as a courtesy, as we cannot vouch for the content or accuracy of the individual sites. GuideStar (www2.guidestar.org)– Every day, nearly 22,000 people come to GuideStar to learn more about nonprofits. Many are donors and grant makers seeking information on organizations to support. Reach out to them by updating your organization’s nonprofit report. The Nonprofit Resource Center (www.not-for-profit.org) – Features links to a variety of online resources for nonprofits. National Center for Charitable Statistics (nccsdataweb.urban.org) – The national clearinghouse of data on the nonprofit sector in the United States. Internal Revenue Service (www.irs.gov/Charities-&-Non-Profits) – Tax information on charities and other nonprofits. BoardSource (www.boardsource.org) – Provides information about building effective nonprofit boards. Board Café (www.compasspoint.org/board-caf%C3%A9-home) – Provides a free online newsletter for nonprofit board members. Alliance for Nonprofit Management (www.allianceonline.org) – This professional organization is devoted to improving the management and governance of nonprofits. Free Management Library (managementhelp.org)- Provides a variety of links to help nonprofits with strategic planning and management. Internet Nonprofit Center (www.idealist.org/info/Nonprofits/Npofaq)- Publishes Nonprofit FAQs and links users to numerous sites dealing with strategic planning and management. Nonprofit Finance Fund (nonprofitfinancefund.org)- Provides capital and advice to help nonprofits strengthen its mission, improve its capacity to deliver services and strengthen its communities. Tech Soup (www.techsoup.org) – Connects nonprofits with donated and discounted technology products. Charity Advantage (www.charityadvantage.com/index.asp) – Helps nonprofits with web site development, computer donations and computer purchase-assistance programs. Association of Fundraising Professionals (AFP) (www.afpnet.org) – Opportunities for networking, professional development, and resources. Association of Fundraising Professionals – Connecticut Chapter (AFP-CT) (afpct.afpnet.org) – Connecticut chapter, offering access to resources, networking, and professional development. Spitfire Strategies (www.smartchart.org) – Provides a free interactive chart to guide nonprofits through the communications planning process or to evaluate a campaign that is in progress. Press Release Grader (marketing.grader.com/?s=prg) – Grades your new release on a scale from 1 to 100 and tells you what to do to improve it. The Communications Network (www.comnetwork.org)- Helps foundations and nonprofits communicate more effectively by providing web-based seminars, links to publications. Center for Nonprofit Management (www.cnmsocal.org/resources/articles/recommended-reading.html)- Resources that assist in strategic planning, day-to-day tasks and management of nonprofits.